For every brand, a failed customer support instance can create a very bad impact. The unhappy customers will stop doing business with that company, move to its competitors and share their negative experiences with others. Though businesses know that providing excellent support is important but often they commit several common mistakes which are easy to avoid but always prevent them from offering stellar customer service. 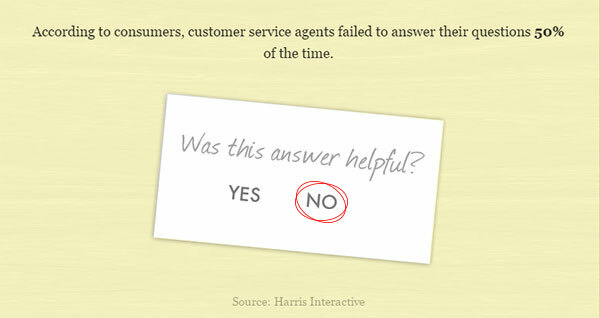 5 customer service mistakes to avoid! How customers may feel ignored? It’s not only about rude behavior, it’s more than that. They feel irritated, when their suggestions or comments are not invited, required information are not provided in time, they are pressurized to make instant decisions etc. Always sound human in case you are offering live chat support. It should not be completely automated which compels customers to think that they are talking to a robot. Try to personalize the support sessions. Lack of training: this is one of the most common customer service mistakes to avoid. Many times, the support agents lack proper product knowledge. They don’t even have general information about the organization and current policies, normal etiquette etc. Trust me, this is a big problem. The support agents are the ones who represent the company and if they make such mistakes then the conversion rate will suffer for sure. Check call records and chat history to evaluate how agents are performing and work harder for their betterment. Arrange periodic training sessions, online classes and workshops to discuss about company policies, upcoming products and customer service etiquette. According to a J.D. Power survey of over 23,000 online consumers, 67% of consumers have used a company’s social media channels for customer support. Here, people always expect instant response and efficient service. If the support team don’t follow the social media channels, then there is a big problem. They will lose sales and company reputation both. Now days, It’s no less important than other support channels like phone, email or live chat. So, get on social media! Integrate your live chat software with social media channels like Facebook, Viber and manage the whole customer support from a single dashboard. Respond to customer queries instantly. Post regular updates regarding your services and products. Don’t ignore negative comments. Try to fix the issues ASAP. Use a positive tone while responding. This statement really frustrates the customers. This should not be the answer. Remember that the customer is already seeking help and after that if you say this it becomes more irritating for the customer. So, try to tackle this kind of situation efficiently. Instead of stating the company policy, explain the logic behind making the policy. Try to be calm and polite. Always find some other way outs to solve the issue if you can’t go beyond company policy. Don’t hang the customers in-between. There are times, when a customer contacts the support team through live chat or phone to get assistance, but instead of helping, the chat invitation or call gets transferred to multiple agents from different departments. Trust me it’s very annoying. Always try to resolve the issue at the first attempt and make sure that the chat request or call is sent to the right department. Get a live chat software that offers advanced features like ‘Department Management’ which routes the chat requests to specific departments and allows the customers to live chat with the right agents. Any suggestions? Share with us in the ‘Comment’ section. Suvashree is responsible for handling the website content, blog and social media marketing activities at REVE Chat. Graduated in English literature, she has done her Masters in Journalism and Mass Communications. Her interests include reading, painting and travelling.